MaxiComfort Pub Lift Chair Medium (User Height 5'4"-5'10") | Mountain Aire Medical Supply, Inc.
Classic design featuring a two pillow waterfall back and nail head trim. The Golden Pub Chair is a lift chair which features traditional styling to seamlessly fit into your existing home décor. The two-pillow waterfall back provides plenty of comfort with an elegant appearance, and the brass nail head trim on the arms and wings creates a classic accent. 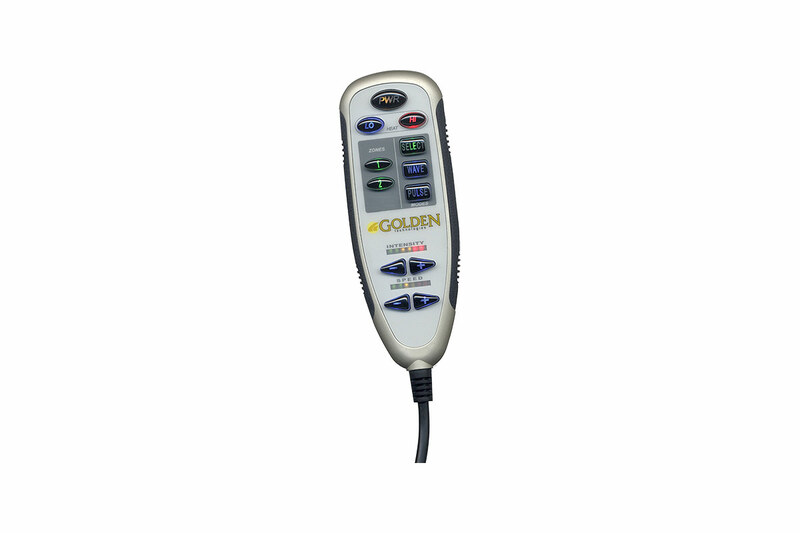 The Golden Pub Chair features dual motor patented MaxiComfort recline technology for a smooth and whisper quiet recline. The seat and backrest can be operated independently, and the AutoDrive hand control is easy to operate. You can even lock in your favorite comfort position, allowing you to return to that specific position at the touch of a button. 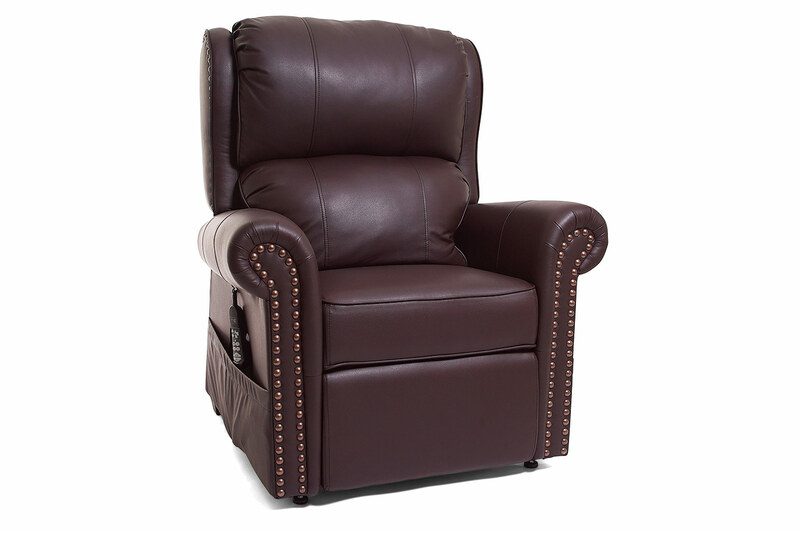 This lift chair is designed to provide you with maximum comfort perfect for relaxation and naps. The full chaise pad support helps to support and cushion your entire body, and this chair also offers excellent leg extension. When you’re done sitting down, touch the AutoDrive hand control and have the chair lightly lift you back to your feet. The Pub lift chair features a combination of pocket coil seat springs surrounded by foam that molds to your lower body for the ultimate support and comfort.